As mothers day is approaching I wanted to make my mum a personalised card that she can keep, usually she ends up with 4 cards (and she probably still will) as everyone wants to write one for her, this mini album is going to have a photo of each of us and then what we most love about her.. I know its something she will keep long after all the shop brought cards have gone in the bin! You can view the video tutorial HERE! To start with I took a piece of 12×12 DSP from Stampin’ Ups! new “In Colour” range and a piece of the same coloured card stock.. Dapper Denim.. which is one of my favourite colours this season! 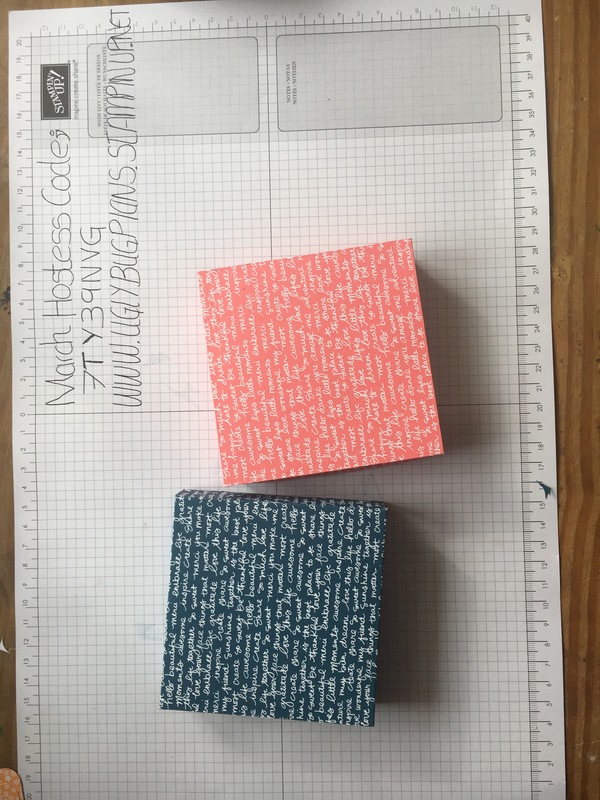 DSP; Cut 1 square at 6″x6″ and score a 1″ on all 4 sides. 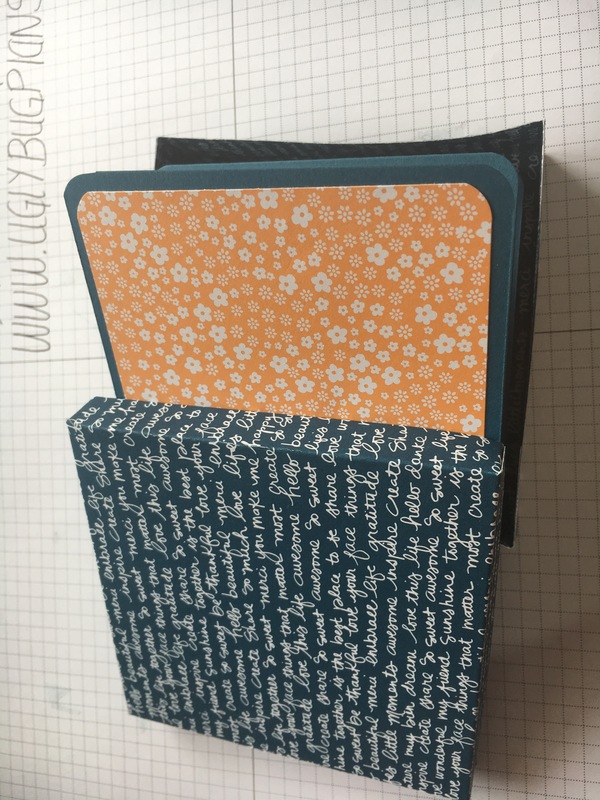 Cut 2nd at 5″x5″ and score at .5″ on all corners. Snip unto the score line on the top and bottom side and then cut a triangle from the fold over section so that each corner has a flat side and a triangle side. Add adhesive to the triangle and adhere to the inside of the lip to form a lid. Do this for both the top and bottom of your box. 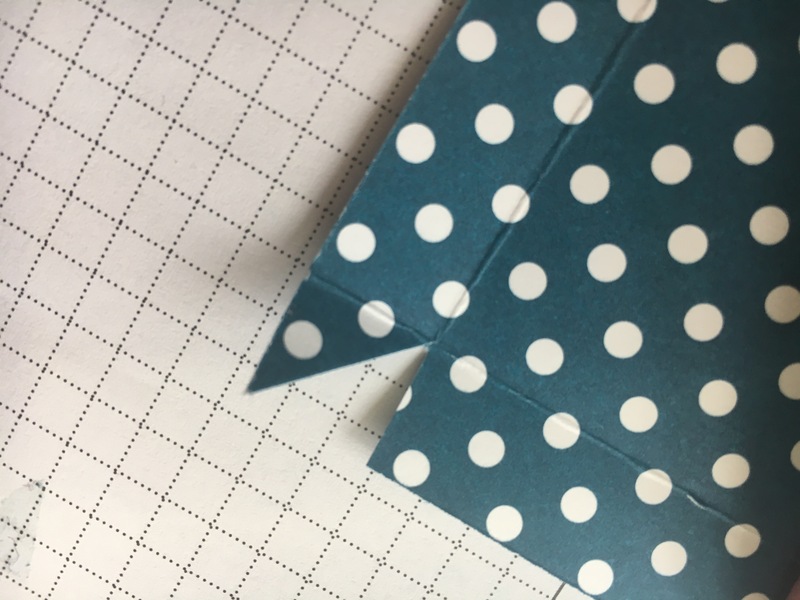 The cut your card stock to 3.3/4″ high (I cut 2 strips this hight) and score them at 3.3/4″ until you get to the end of the card, this should leave a little flap. Now fold your strip in a concertina. I rounded the corners here but you don’t have to. use the flap to adhere one strip to the other and then cut the end one off. 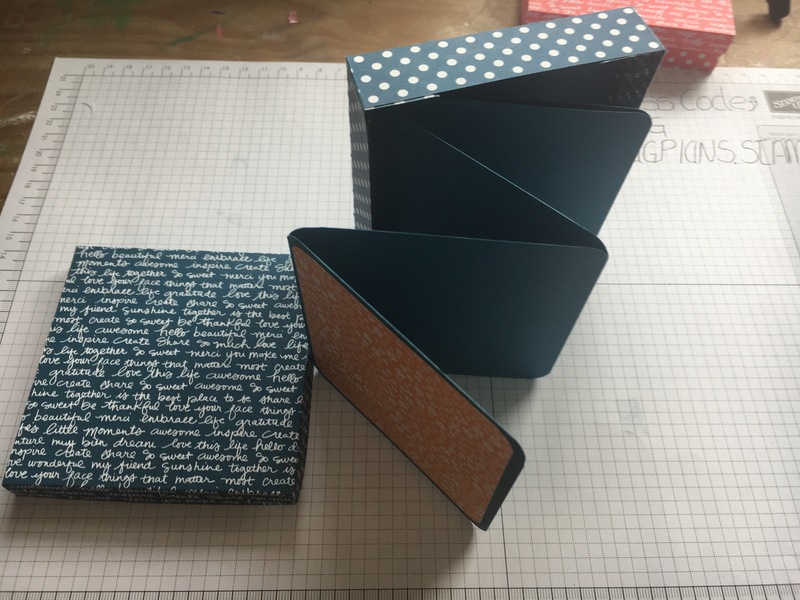 I used an alternative paper, cut to 3.5″ squares, that I adhered on 3 sides, to make pockets which can be used to store hidden journalling or little messages and tags. 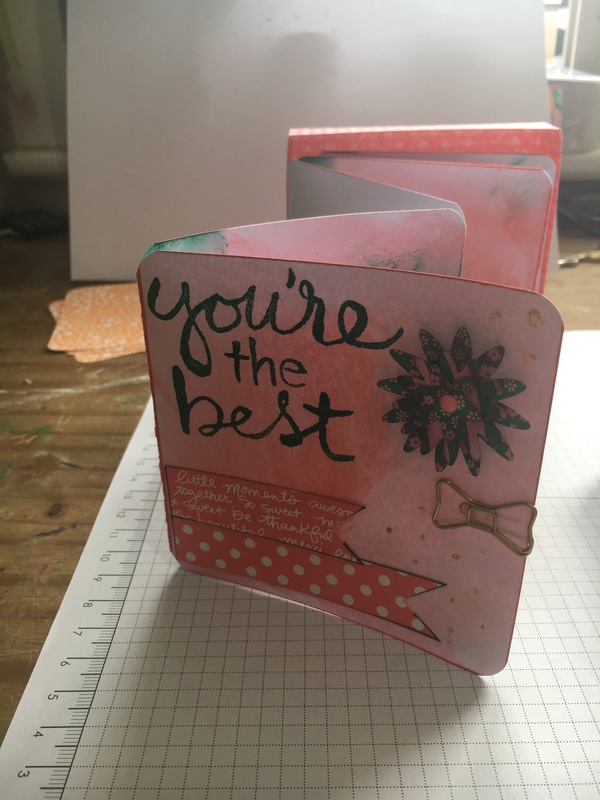 Previous Post Quick cards – from a non card maker! !